Conducting our yearly project, Waipahu Community Association is now accepting non-perishable food items from throughout the month of October, thru November. Please feel free to drop off items to our office at 94-340 Waipahu Depot St. #201, Waipahu, HI 96797. 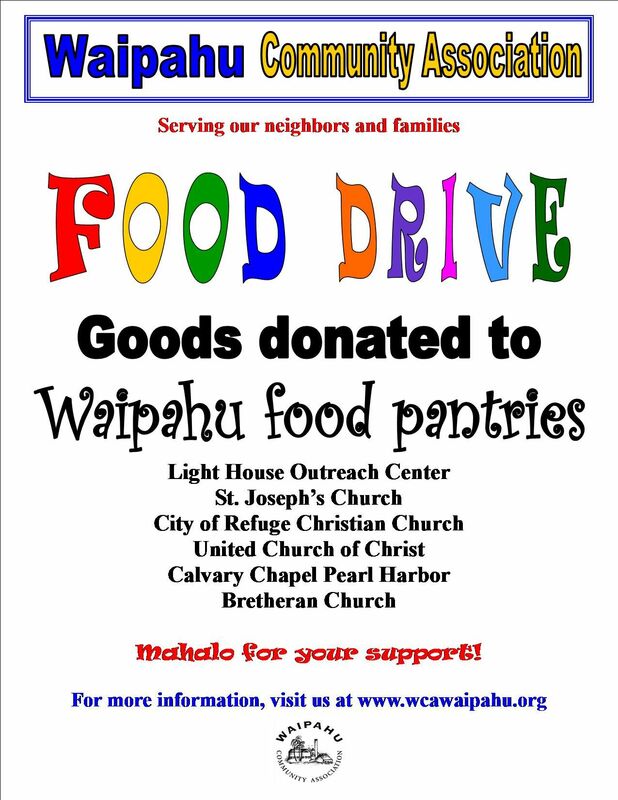 Goods collected will be donated to Waipahu Food Pantries. Mahalo for your support! For more information, feel free to call our office 677-6939.